A report on eight Carmax locations released by the Center for Auto Safety, Consumers for Auto Reliability and Safety (CARS), and the MASSPIRG Education Fund, found that 27% of the vehicles for sale were under an open safety recall. Carmax is the nation’s largest retailer of used cars, with 185 locations in the United States. 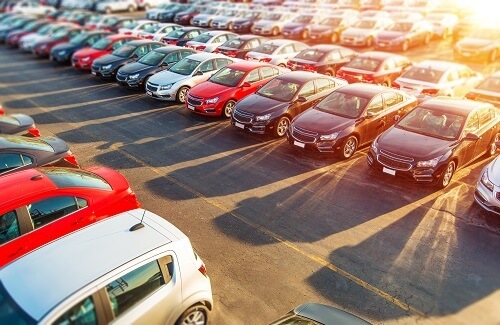 This study looked at 1,699 vehicles at eight separate Carmax lots in California, Connecticut, and Massachusetts. Is Carmax Falsely Disclosing Recall Information to Buyers? The defective cars are under safety recalls for a range of problems, including seat-belt defects, faulty brakes, and airbags that shoot debris. Some of the problems can be fixed at a dealership, which Carmax urges its customers to do, but around 10% of the defective cars are under recall for things that can’t be fixed. Carmax claims it discloses safety recalls to its customers, but the report suggests the disclosures are often false or after the car is purchased. This scenario could, and likely has, resulted in a customer purchasing an unsafe car with irreparable problems. This is a stark reminder to be careful when purchasing and driving a used car from any source. While it is not technically illegal for Carmax to sell cars that are under recall, they are required by law to disclose the recall in order to sell the car. Companies like Carmax make promises with language like “125+ point inspections” and “high standards”, but that language is designed to be vague and to distract you from what it leaves out. So be sure to research thoroughly and ask about any defects or recalls when purchasing a car.